They were unable to break into the safe, so the thieves went away empty-handed. The store was giving away complimentary gift bags, so no customer went away empty-handed. Picture leaving a place with nothing in your hands. 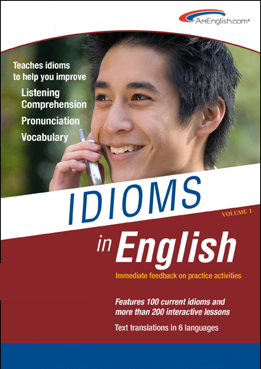 This entry was posted on March 4, 2013 at 4:51 pm	and is filed under Blogroll, idioms, Partners, Products, pronunciation, TOEIC Tip. Tagged: AmEnglish.com, ELL, english language learners, Go away empty-handed, idioms, Idioms in English, Idioms in English from AmEnglish.com, listening comprehension, Pronunciation in English from AmEnglish.com, TOEFL, TOEIC, vocabulary, Writing in English from AmEnglish.com. You can follow any responses to this entry through the RSS 2.0 feed. You can leave a response, or trackback from your own site.